Britain in Bloom in Sidmouth. How wild gardening and wilting councillors made Sidford famous. 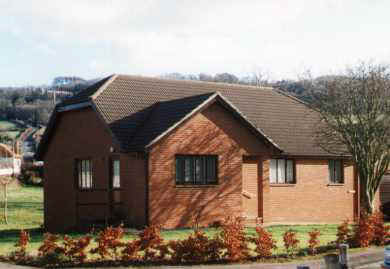 It all began in the spring of 1997 when I arrived to live in Sidford. I owned an old car behind which I was towing an even older caravan. This immediately upset some of the natives. In August the rains came. They washed out the folk festival in a sea of mud, and the River Sid meandered gently across my garden as if to suggest a need for some flood defences. 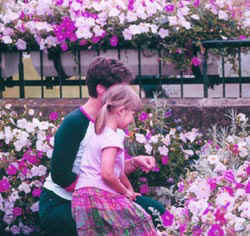 At the time, I had no interest in gardening. I left the lawn to grow a little wild whilst I built a Devon bank (local term for a bank of earth sometimes used as a part of a hedge or field boundary) and commenced demolition of a small garage to make way for a large one. Events are described in more detail at summary.htm . 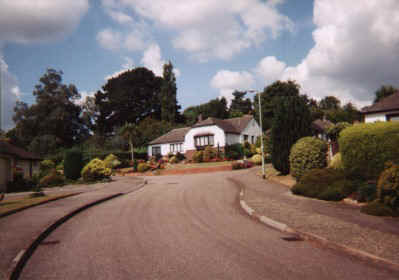 The author's home in 1997 showing the front garden that was the focus of years' of heated argument. It is now screened on two sides by beech and conifer hedging. The second photo shows the rear view, down to the river. This remains much as it ever was. Some councillors and Britain in Bloom hangers-on objected to a few weeds and wild flowers and threatened me with prosecution if I did not cut my grass, tidy the garden and generally make it look as neat and prissy as their gardens. There were dozens of letters and articles in the local press, one of which is reproduced on the next page. 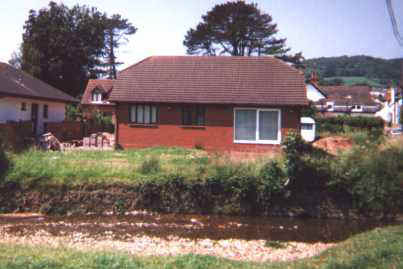 One of the longest and most publicised 'battles' in the history of Sidmouth eventually involved half a dozen radio interviews (including Jimmy Young on BBC Radio 2), prime time nation-wide television (Countryside at War BBC1 TV, 14 May 2002) and articles in several national newspapers and gardening magazines. Sidmouth and other towns and cities that take part in the competition might look as pretty as a picture but what is the reality? In an interview on BBC Radio Devon, I said that a woman might think she was attractive in a leopard skin coat, but what about the leopards? and denuded peat bogs at Hatfield Moor near Scunthorpe. Many bedding plants are still grown in peat, which is extracted from peat bogs (now there's a surprise). All the major conservation groups as well as many responsible gardeners have been saying for years, DON'T BUY PEAT. But of course many Britain in Bloomers do not listen and so the show goes on. 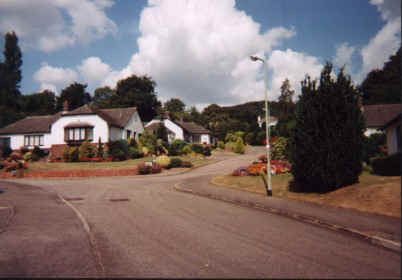 There are a few websites devoted to educating gardeners about the damage of peat extraction. The topic is also mentioned on many wildlife and conservation sites. A good starting point with links to other wildlife and campaign sites is Friends of the Earth 'spoof' advertisement http://www.miracle-gone.co.uk, a part of their main site. The RSPB and English Nature also produced a joint report 'Peatering out' in 2001 but this may already be sold out. Try the RSPB website. Slowly, Britain in Bloom are bringing the word 'environmental' into their judging. The competition now comes under the RHS rather than the Tidy Britain Group (did they ever do anything worthwhile?) and may be a move in the right direction. Both education and environment are well represented on the RHS website. Maybe a little education will rub off on some of the more traditional 'bloomers'! 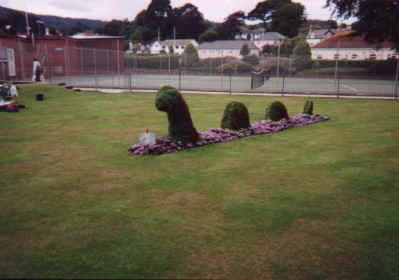 An official of Sidmouth Gardening Club retorted a few years ago in the local newspaper "I intend to go on using peat and would advise others to do likewise". Congratulations by the way to Sir Roy Strong who said recently that Britain in Bloom was spreading prissy flowers around towns and cities like a contagious disease. Germaine Greer has referred to floral cancers spreading on once beautiful buildings. Congratulations to them both. If there are any websites out there devoted to untidy, easy to maintain wild gardens please let me know. 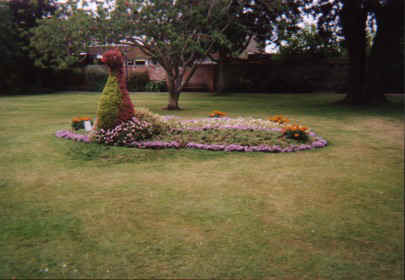 One of the central criticisms of Britain in Bloom is that it is merely a form of 'chequebook gardening' (a phrase coined by the author of this website) in which towns and cities compete with each other primarily on the basis of which councils can spend (waste) most public money on buying the plants and ornaments and thereby win the coveted prizes. 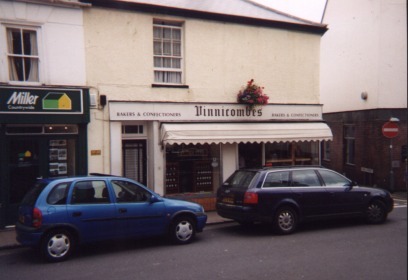 Even in Sidmouth, most residents and businesses take little or no part in the competition and it is left to a few self-opinionated councillors and their friends to purport to speak for the whole town. Curiously, the judges often praise "the whole community coming together to make the town beautiful" when in fact no such thing happens. 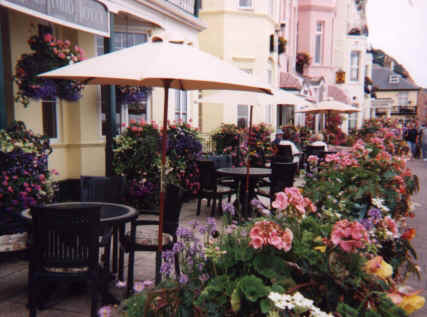 Award winning floral displays at the Devoran and Kingswood hotels on Sidmouth's Esplanade. Prime examples of 'chequebook gardening', these involve little more than spending money to impress dotty Britain in Bloom judges. 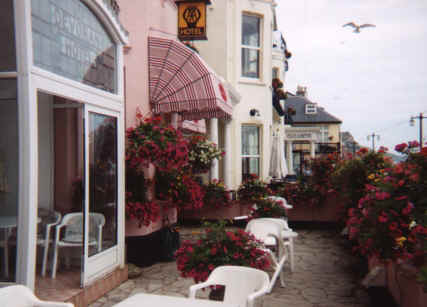 In a few roads in Sidmouth, residents are zealous in their advocacy of Britain in Bloom. 'Weeds' are ruthlessly exterminated and replaced with regimented arrangements of ecologically useless flowers. Grass is trimmed to perfection (even using scissors!). These unnatural, costly and entirely predictable displays are much prized by the judges. No prizes for guessing the likely fate of an ecological gardener who dared to buy a home in one of these roads! Prizes are also awarded for the most technologically advanced displays - which means you make a metal frame, hang various exotic plants in and upon it and tend it daily. You also must be prepared to suffer gushing praise in the local newspaper. All quite pretty (until the novelty wears off) but surely there are surely better uses for tens of thousands of pounds of public money? People could be encouraged to be environmentally responsible in their gardens rather than subscribe to the banality of manicured rows of sterile short lived flowers purchased from irresponsible garden centres. which arguably looks even more ridiculous than buying too many flowers. Good taste, and blending in well with the street scene, do not appear to be relevant criteria. In February 2005, the SeeRed author asked a polite question at Sidmouth Town Council. It related to spending on Britain in Bloom compared with that on Sidmouth Folk Week. This page from the folk festival section of SeeRed documents the abusive response from the Chairman of Sidmouth Town Council - Councillor Tony Reed. Whatever else might be said about Councillor Reed, he has probably never been accused of being well educated!